The first series, now referred to as The Original Series, debuted in 1966 and ran for three seasons on NBC. 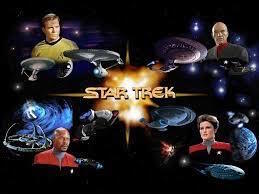 Four spin-off television series were eventually produced: Star Trek: The Next Generation followed the crew of a new starship Enterprise set a century after the original series; Star Trek: Deep Space Nine and Star Trek: Voyager, set contemporaneously with The Next Generation; and Star Trek: Enterprise, set before the original series, in the early days of human interstellar travel. Four additional The Next Generation feature films were produced. As early as 1964, Gene Roddenberry drafted a proposal for the science-fiction series that would become Star Trek. Although he publicly marketed it as a Western in outer space, he privately told friends that he was modeling it on the classic novel Gulliver's Travels, intending each episode to act on two levels - an adventure and a moral story. Most Star Trek stories depict the adventures of humans and aliens who serve in Starfleet, the space-borne humanitarian and peacekeeping armada of the United Federation of Planets. Many of the conflicts and political dimensions of Star Trek represented similes of contemporary culture. Star Trek: The Original Series addressed issues of the 1960s, just as later spin-offs have reflected issues of their respective decades. Issues depicted in the various series include war and peace, the value of personal loyalty, authority, imperialism, class warfare, economics, racism, religion, human rights, sexism, feminism, and the role of technology. Roddenberry intended the show to have a progressive political agenda reflective of the emerging counter-culture of the youth movement, though he was not fully forthcoming to the networks about this. He wanted Star Trek to show humanity what it might develop into, if it would learn from the lessons of the past, most specifically by ending violence. An extreme example is the alien species, the Vulcans, who had a violent past but learned to control their emotions. Roddenberry also gave Star Trek an anti-war message and depicted the United Federation of Planets as an ideal, optimistic version of the United Nations. 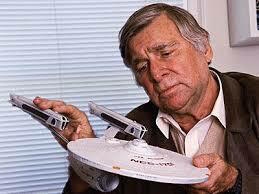 His efforts were opposed by the network because of concerns over marketability, e.g., they opposed Roddenberry's insistence that the Enterprise have a racially diverse crew. This reflects the problems Roddenberry encountered in making Star Trek happen at all in the culture of the day, but thankfully he was smart enough to overcome these problems. Since 1967, hundreds of original novels, short stories, and television and movie adaptations have been published. 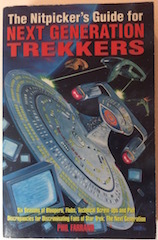 The first publisher of Star Trek fiction aimed at adult readers was Bantam Books. In 1970, James Blish wrote the first original Star Trek novel published by Bantam, Spock Must Die! 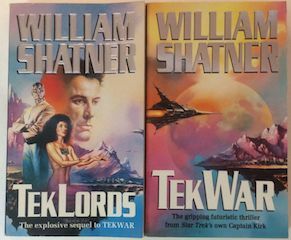 Pocket Books, an imprint of Simon & Schuster, is the most prolific publisher of Star Trek novels. 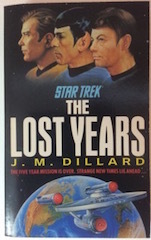 Star Trek novelists include Peter David, Diane Carey, Keith R. A. DeCandido, J. M. Dillard, Diane Duane, Michael Jan Friedman, and Judith and Garfield Reeves-Stevens. 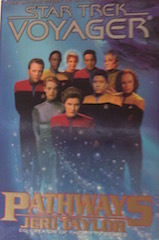 Several actors from the television series have also written or co-written books featuring their respective characters: William Shatner, John de Lancie, Andrew J. Robinson, J. G. Hertzler and Armin Shimerman. 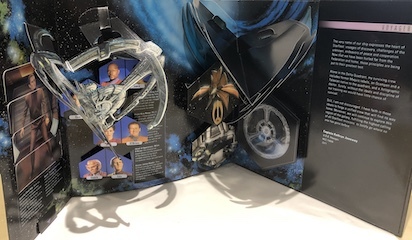 Voyager producer Jeri Taylor wrote two novels featuring back story for Voyager characters, and screen authors David Gerrold, D. C. Fontana, and Melinda Snodgrass have penned books, as well. 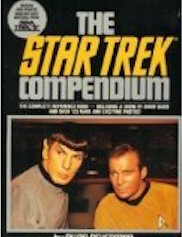 cj-books-etc are pleased to offer a variety of Star Trek books both fiction and non-fiction, including great value collections and rare vintage books from the 1960s. 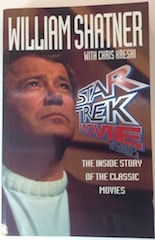 Shatner relates in explicit detail what went into the making of all six 'classic' Star Trek movies including all the chaos, creative turmoil, backstage politics and production mishaps along the way. 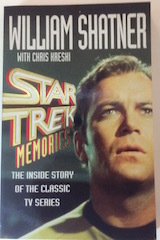 Shatner talks Star Trek fans where no fan has gone before - behind the scenes of the classic show. He traces the history of this phenomenon and includes stories and behind the scenes antics of the shows most loved characters. 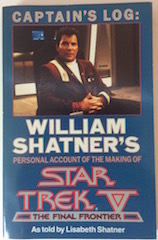 In Star Trek Shatner took not only the challenge to star but also to direct and co-write this multi-million dollar epic. This book by his daughter includes his thoughts, earliest scrip ideas, insights into its filming and difficulties. It also has 16 pages of behind the scenes photographs. Interviews with the original stars and crew of the entertainment phenomenon. 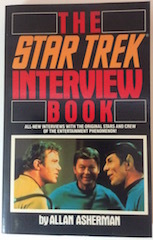 This in depth look at the people who helped create the magic of Star Trek from Gene Roddenberry to Harve Bennett, from the man who designed the Enterprise to the woman who played Spock's wife here is a wealth of never before revealed info and trivia. Fabulous recipes from all over the Universe. Written with substituted earth ingredients if original alien produce is not available in your area! This is a rare and interesting publication. 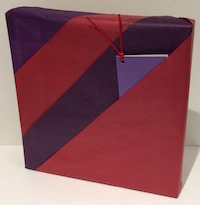 Four double full colour three dimensional pages plus fold outs and moveable parts. 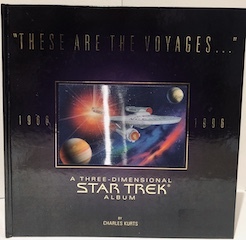 The definitive reference book for Star Trek fans with over 5000 exhaustively researched and cross-referenced entries featuring 100s of photos and diagrams. 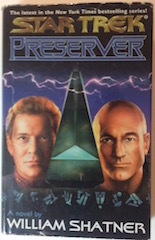 Covers The Original series, TNG and DS9. Six seasons of bloopers, flubs, technical screw-ups and plot discrepancies for discriminating fans. 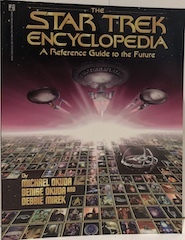 This book is definitely the TNG fan's bible! 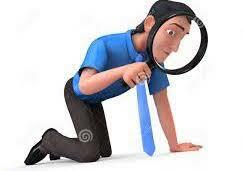 Masses of facts and trivia about each episode. Hours of sheer delight. The story behind the epic Star Trek Movie. There were new ships, new aliens, new worlds and new adventures. 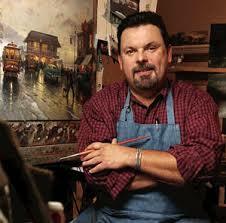 This is a look behind the scenes at the creative process from inception to finished work. The complete reference book including a show by show guide and over 125 rare and exciting photos. 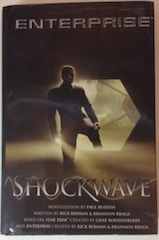 Two gripping futuristic thrillers from Star Trek's own Captian Kirk. Used like new. 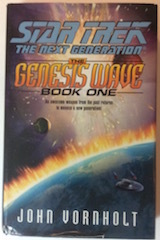 Excellent condition with slight tanning to page edges and one page marked. The story traces the winding roads that have led Captain Janeway's officers to what is perhaps the greatest crisis on their long voyage home. Good size print. The bestselling Klingon saga complete in one volume. 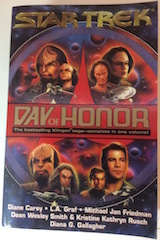 Six complete novels that explore the heart and soul of Klingons everywhere especially concentrating on their unique sense of honor in all its forms. An awesome weapon from the past returns to menace a new generation. What happened between the end of the Original series and the first Star Trek movie? Ideal for any Trek fan. 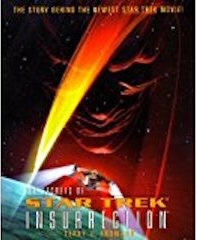 In 2009, the film franchise underwent a "reboot" set in an alternate timeline, the "Kelvin Timeline", titled simply Star Trek. This film featured a new cast portraying younger versions of the crew from the original show. A sequel to that film, Star Trek Into Darkness, premiered on May 16, 2013. A thirteenth film feature and sequel, Star Trek Beyond, was released in July 2016, to coincide with the franchise's 50th anniversary. A new Star Trek TV series, titled Star Trek: Discovery, premiered in 2017 on the digital platform CBS All Access. In the UK it is on NetFlix.